What degree is the right fit for those seeking work in corrections? Online Degrees | Blog | MSW or Criminal Justice: Which degree if you want to work in corrections? MSW or Criminal Justice: Which degree if you want to work in corrections? Graduate studies can prepare individuals hoping to work in corrections to help inmates rehabilitate their lives and become productive members of society. As the U.S. criminal justice system faces numerous challenges, professionals in corrections are uniquely positioned to offer the specialized expertise needed to support rehabilitation and create safe environments within prisons and jails. Those interested in corrections frequently face a significant choice along the way: Should they specialize in social work or in criminal justice? Pursuing a master’s degree in either discipline can be useful for a career in corrections, so it often comes down to identifying which is a better fit for the specific role you hope to pursue. Social workers have long been involved in the corrections system, performing roles in areas such as family support and care, counseling, and prisoner advocacy. Social work experts could find roles within multiple tiers of the corrections industry, ranging from probation officers helping individuals adjust to life outside of prison to administrators guiding policy and advocating for vulnerable parties across the industry. According to the National Association of Social Workers, the current state of the U.S. criminal justice system makes social workers particularly important in the corrections sector. Shifts in policy around drug law, funding for mental health programs, and similar issues have left many prisons facing an influx of inmates and a considerable rise in prisoners with mental conditions. For example, research from the Illinois Criminal Justice Information Authority estimates 60 percent of female prisoners could be diagnosed with post-traumatic stress disorder. In many cases, individuals with mental health disorders who don’t get care can end up in prison, turning correctional facilities into ad hoc treatment centers that are not adequately staffed for such a role, the NASW report explained. 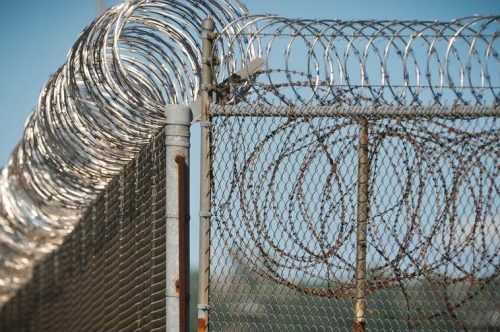 Substance abuse and mental health conditions are common among inmates, and many methods used in the correctional industry can exacerbate those issues. In particular, using seclusion and restraint as a form of punishment can cause mental health conditions to escalate. These circumstances highlight just how much social workers can do when operating in corrections. Pursuing an MSW will expose students to courses and practical experience on topics including counseling, advocacy, mental health assessment, and the underlying societal and physiological circumstances that contribute to mental health conditions. Bringing this knowledge into roles in corrections gives professionals an opportunity to work with prisoners and enhance the rehabilitation process. If you’re not as interested in one-on-one social work, but instead are more focused on advocacy, then an MSW can provide the big-picture knowledge and administrative skills that can be invaluable for leaders in corrections. A Master of Science in Criminal Justice degree, like an MSW, can provide vital insights for those wishing to advance their careers in corrections. However, where an MSW focuses on mental health treatment and advocacy, an MSCJ will typically emphasize areas of study such as criminology and how corrections fits within the larger criminal justice landscape. U.S. News & World Report noted an MSCJ program will often prove a natural fit for those hoping to work as either a correctional treatment specialist or probation officer. These roles are similar to those that would be pursued by somebody with an MSW degree, but the specialized skills vary depending on the program. These specific roles can handle a wide range of responsibilities, but they often focus on rehabilitation. According to U.S. News & World Report, correctional treatment specialists will typically interact directly with inmates to create a rehabilitation strategy that allows for a smoother transition into society. Probation and parole officers are advocates in a similar way, but with an emphasis on connecting individuals with resources they need, such as job training. While the job roles for somebody with an MSW and a professional with an MSCJ may be similar, the MSCJ puts the emphasis on managing the criminal justice side, while the MSW emphasizes social justice. This may sound obvious, but the implications are significant in terms of identifying which option is the right fit for you. The social work degree puts the emphasis on the big-picture societal and mental health concerns that impact an individual in the corrections system. An MSW can also serve as a step to become licensed/certified, a process that can prove instrumental within the corrections industry. The criminal justice degree focuses on understanding how people navigate the actual criminal justice system and emerge ready to re-enter society. It will put significantly less emphasis on mental health treatment and counseling than an MSW. Ultimately, both degree programs bring something valuable to the corrections industry, and choosing between the two is often a matter of figuring out how you want to help people. If you want to advocate for prisoner rights and provide counseling, social work may be a more natural fit for you. Of course, all of this discussion around counseling puts an emphasis on clinical social work. The Regis College online MSW program focuses on clinical studies as its point of emphasis, making it a natural fit for those seeking licensure/certification. Before pursuing your degree, you should check with the licensure/certification body for the state where you want to work to make sure the program aligns with the requirements. Want to learn more? We can connect you with enrollment advisors to tell you more about our online MSW program and help you identify if it’s a good fit for your career goals in the corrections sector.